For more information about the Reel Facts program, please see the questions below. If the answer to your question isn't here, check the Frequently Asked Questions (FAQ) or SMART Programs Training Requirements pages. If you need more help, please contact us. 1. What is Reel Facts VLT Staff Training? Reel Facts is a social responsibility training program designed to educate vlt retailers and their staff on how to recognize the differences between responsible and problem gambling behaviour, and appropriately respond to someone who may have a problem with their gambling. 2. What is the program about? Programs and services that are available to help reduce the incidence of problem gambling. 3. What are the benefits of having a Reel Facts certificate? Reel Facts helps to educate industry workers about responsible and problem gambling so that they are well-prepared to do their jobs in a socially responsible way. Workers who are well-trained and supported by their managers and supervisors make a difference. Responsible gambling programs like Reel Facts help to provide balance in the industry. It's the right thing to do and it's good business. 4. Who has to be Reel Facts-certified? All staff working at a liquor licensed premises having any involvement with patrons using VLTs, with the exception of positions identified in Subsection 10.13.4. Registered gaming workers employed in casino facilities or Racing Entertainment Centres with Deal Us In Phase One certification. Other SMART certification(s) may be required for the work you do. Click here to see the certifications required for various positions in the liquor, gaming and retail cannabis industries, as well as the associated costs and timelines for each program. Note: Deal Us In Phase One certification is acceptable in lieu of Reel Facts certification at casino facilities and RECs where staff may have involvement with VLT patrons. 5. When do I have to be certified? Persons requiring Reel Facts certification must be certified within 30 days of their employment start date or before the expiration date on their certificate. More information about Reel Facts policies can be found in Section 10.13 of the AGLC Licensee Handbook at aglc.ca. 6. Who does not need Reel Facts certification? Registered gaming workers employed in casino facilities or Racing Entertainment Centres (RECs) with Deal Us In Phase One certification. 7. What happens if I do not comply? Reel Facts certification is mandatory for all vlt retailers and their staff. Vlt retailer staff must provide proof of Reel Facts certification at the request of an AGLC Inspector. Failure to present proof of certification (card, Personal Information page, image or photo saved to a mobile device/phone) may result in disciplinary action. Licensees with uncertified staff could face penalties such as a warning, fine, liquor licence suspension or licence termination. Proof of your certification is saved to the Personal Information and Completion Status pages of your SMART Programs account (sign in and follow the on-screen instructions to see it). Print a copy of your card or save an image of it to your mobile device/phone. If you can't access your account, please contact us. If you can't remember your password, click here to retrieve it. 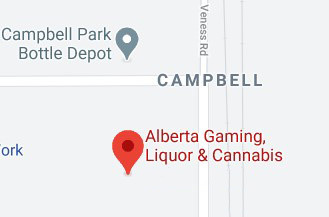 AGLC's Liquor and gaming policies are online at aglc.ca. 8. What do I need to know after I'm certified? Policy and program content may change after workers are certified. Licensees and industry workers are responsible for reviewing the program content and AGLC policies periodically to keep their knowledge current. Note: Logs are subject to review by the AGLC. 9. I have questions about my Reel Facts certification. Where can I go to find more information? More information is on the Frequently Asked Questions (FAQ) and Contact Us pages. Phone: Toll-free in Alberta at 1-877-436-6336, Mondays through Fridays, from 8:15 a.m. until 4:00 p.m.
Fax: 780-651-7626, addressed to the attention of the SMART Programs. In Person: We're at the AGLC Head Office in St. Albert. Click on the map to find us. Note: The SMART Programs office is closed on weekends, statutory holidays, and from December 24th through January 1st.